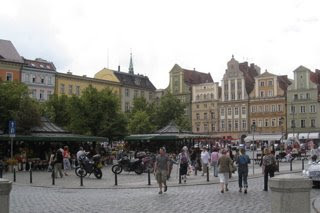 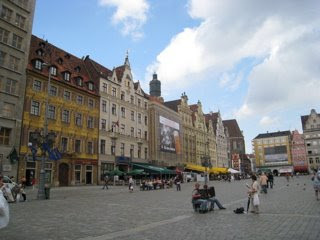 old city center, and is clearly very lively. 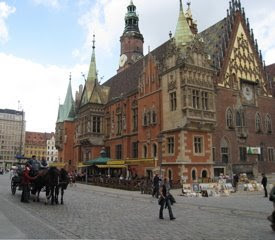 Too bad we can't spend more time. 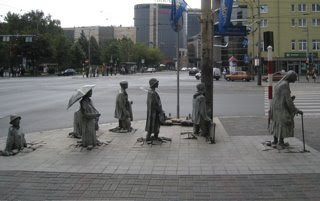 A very striking piece of public art - remembering that people in various professions - like publishing - were forced underground during the communist period. 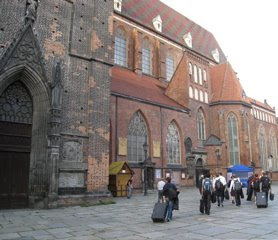 The St. Elisabeth Church on Market Square has been rebuilt many times, having been damaged three times by arson. 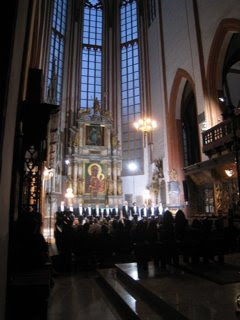 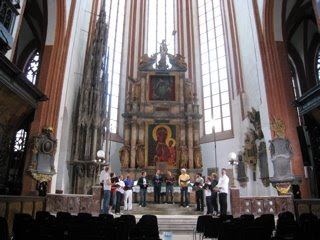 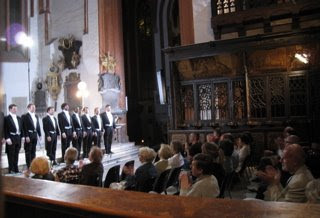 Our debut in Poland was an intimate concert in a chamber series - we sang Gabrieli, Gesualdo, and Des Pres.